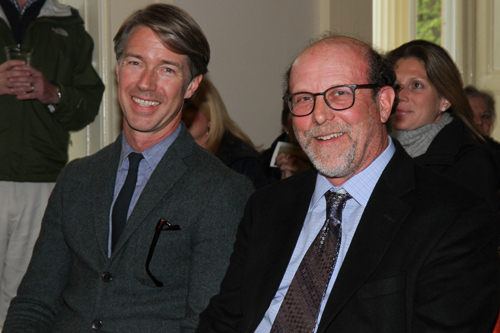 The event began with a lively discussion between Larry and Thomas inside the 1838 Greek Revival mansion. 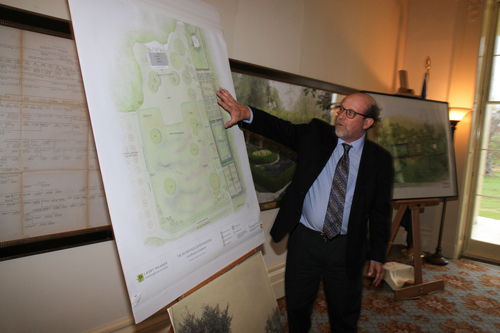 Larry and Thomas shared details from our offices’ respective plans and discussed how we’re collaborating to ensure for seamless integration of the meadow and gardens. 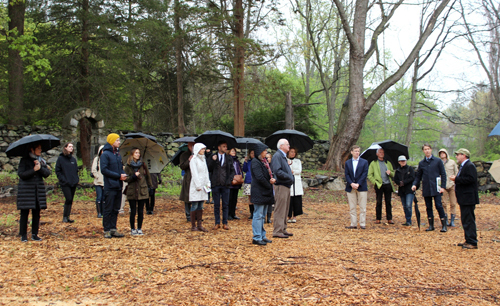 Then, despite cool temperatures and light showers, attendees followed Larry and Thomas out into the meadow and garden areas to imagine how our firms’ historically and ecologically sensitive plans will be experienced. We’ve so enjoyed working with the great folks at Nelson Byrd Woltz and the Jay Heritage Center and we look forward to seeing these special projects realized! To learn more about the Jay Heritage Center, a nonprofit dedicated to preservation of the Jay Estate and exploration of issues of American history, landscape conservation, and environmental stewardship, visit the Center’s web site and check out their great photostream on Flickr. Photos courtesy Suzanne Clary and Cutty McGill.